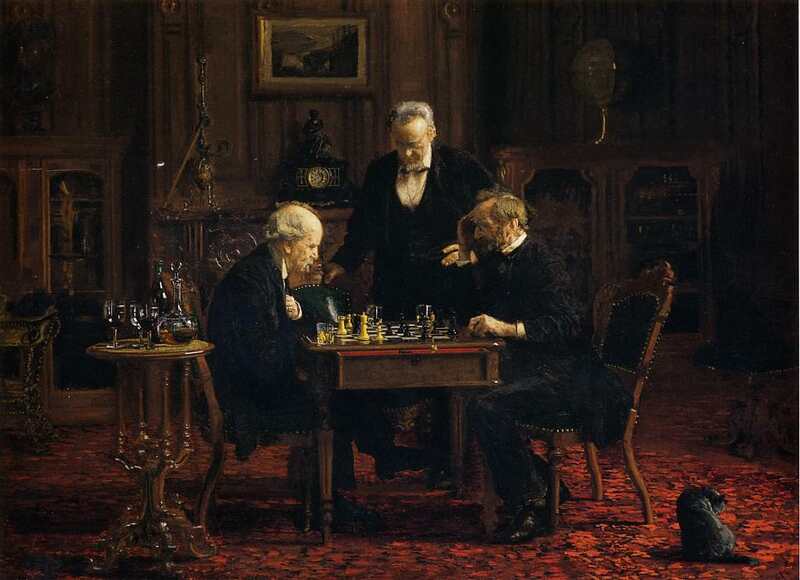 1876 — The Chess Players. Oil paint on wood. Realism style. Thomas Eakins (1844-1916). Metropolitan Museum of Art, New York, NY, USA. 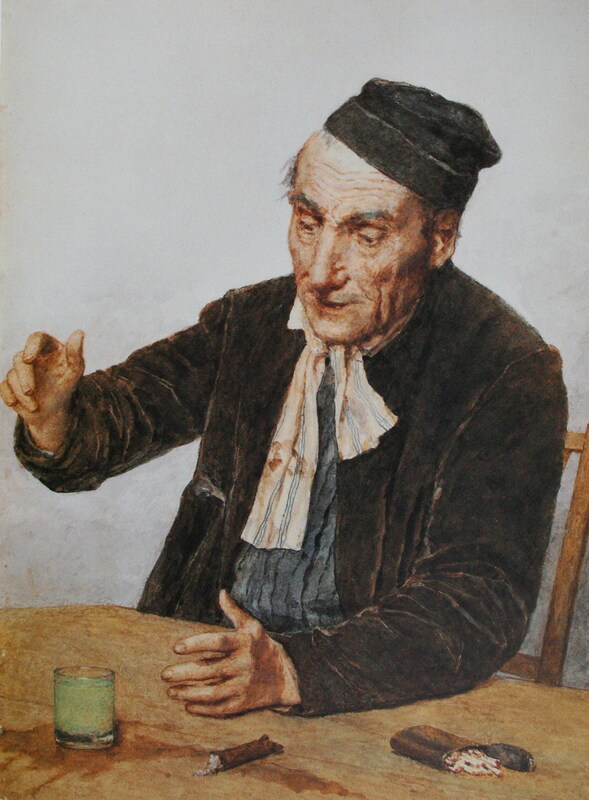 1938 — The Absinthe Drinker. Watercolor. Realism style. Albert Anker (1831-1910). Private collection. 1894 — The Adirondack Guide. Watercolor over graphite pencil on paper. Realism style. 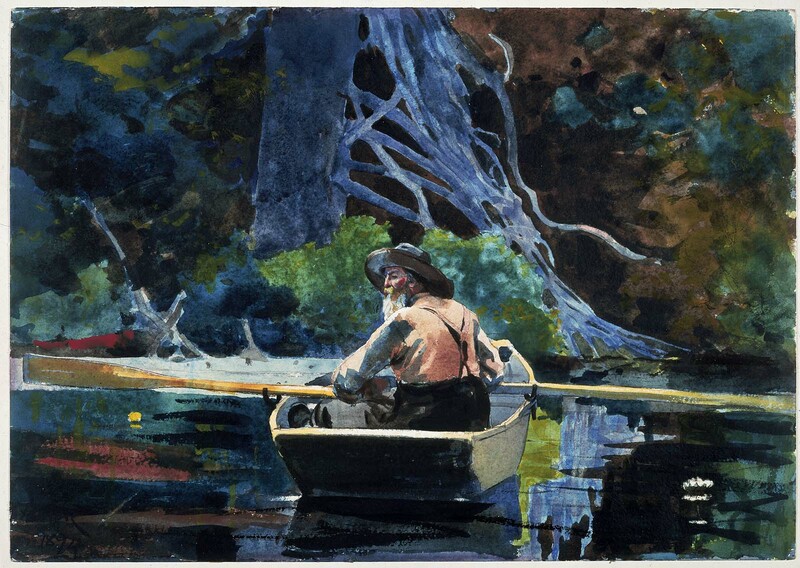 Winslow Homer (1836-1910), Museum of Fine Arts, Boston, Mass., USA. 1905 — Fire. Oil paint on canvas. Realism style. Yefim Volkov (1844-1920), Private Collection. 1911 — Os Galgos (The Greyhounds). Oil paint on canvas. Expressionism style. Amadeo de Souza-Cardoso (1831-1910), Calouste Gulbenkian Museum, Lisbon, Portugal. 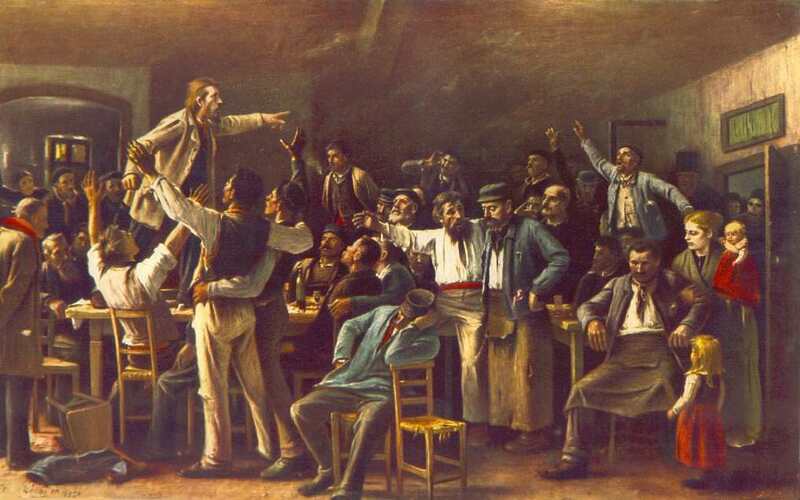 1909 — Lost in Calculations (Încurcat în socoteli). Oil paint on canvas. Realism style. Octav Bancila (1872-1944). Art Museum Constanta, Romania.